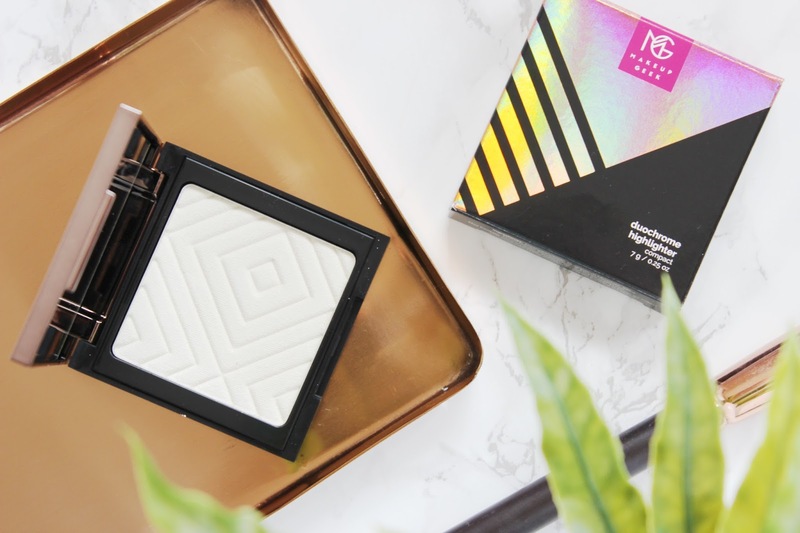 The Makeup Geek Duochrome Highlighter is housed in pretty mirrored compact, with a gunmetal lid and soft touch bottom and the product itself has the same pressed pattern as the Makeup Geek Kathleen Lights Palette. Now, not only is the packaging gorgeous, the formulation is near enough faultless. 'Lit' is super soft, smooth, blendable, has no fallout, doesn't emphasize uneven skin tone and isn't chalky, patchy or sparkly. The shade is icy-looking in the pan - a far stride away from the champagne highlighters I love! But 'Lit' is actually translucent when applied to the skin and has a subtle pink shift that is surprisingly forgiving on the skin (no white frosting in sight!). I was left in ore on first application, tilting my head left to right to catch the shift in the light. The shade lifts, brightens, and doesn't leave you beaming like a lighthouse, it just imparts a luminous multi-tonal sheen. 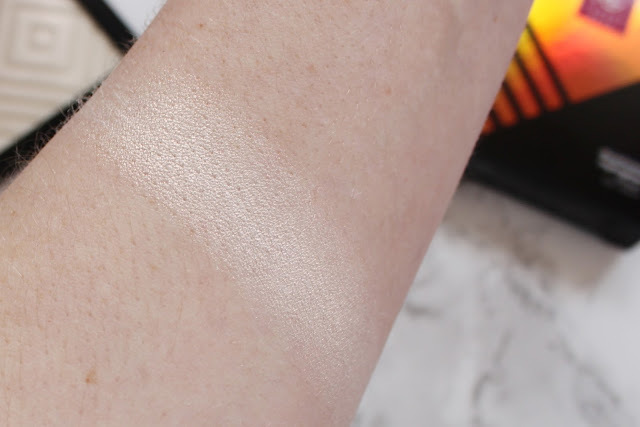 Unlike other duochrome highlights I've tried, Makeup Geek's Duochrome Highlighter in 'Lit' is the most wearable, as it's not a strong duochrome, which frankly I'm thankful for as I wouldn't want it to look unnatural against my skin tone. The pigmentation is good, but it's not opaque. You can use a light hand for a natural glow, or pack it on for an intense, high shine. I would have expected these to sell out, but they're surprisingly still in stock! But having said that, the price point is a little steep (£19.25) considering Makeup Geek currently retails, however, I'd happily pay the price again to add another to my collection. And I must admit, the swatch doesn't do this highlight justice! It's bloomin' lovely - trust me. 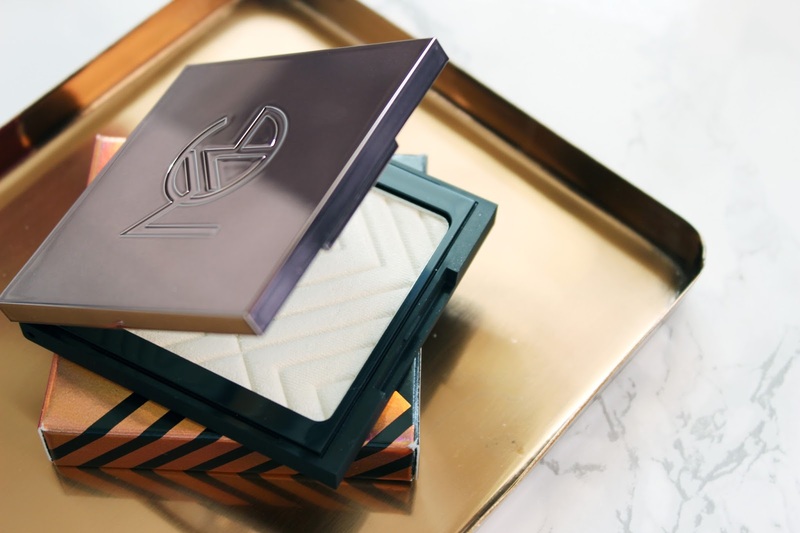 Have you tried any of the Makeup Geek Duochrome Highlighters?